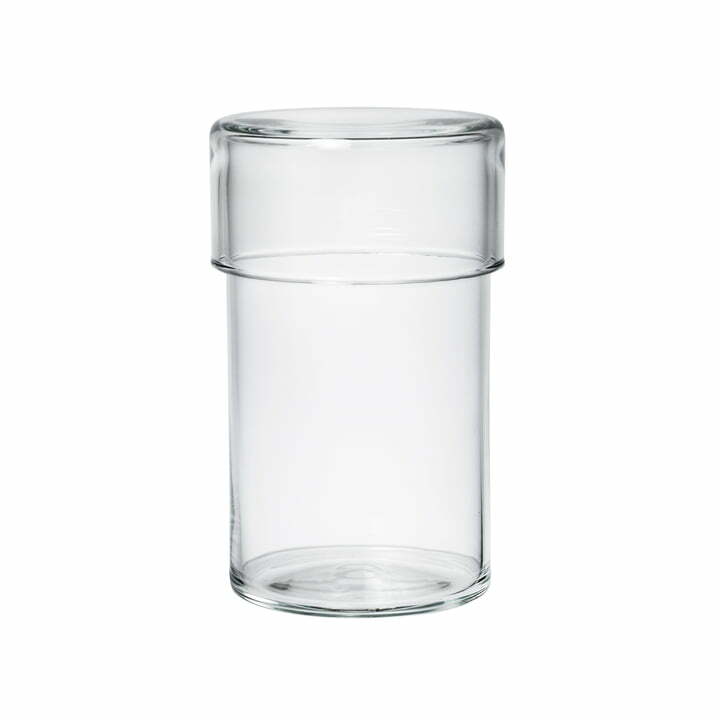 The Glass jar with lid by Raumgestalt serves as clear kitchen organisation and at the same time as shapely decorative element. When used in the kitchen they allow to store foods such as cereals or dried fruits. But also sweets and cookies at Christmas time can be presented attractively in the glass and placed on the table for guests. Used as decoration the container allows to be freely decorated, for example, with twigs, cones, or flowers depending on the season. Such an individual design ensures a comfortable atmosphere in any environment. 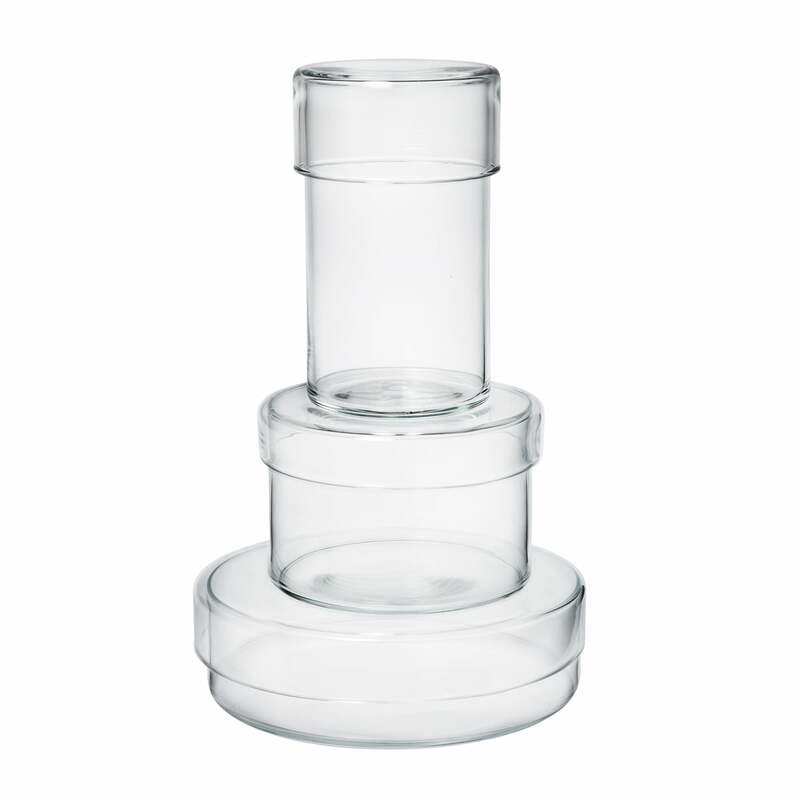 The containers made of crystal glass are available in three different sizes and shapes. Individual image of the glass jar with lid by Raumgestalt, high. Whether used as kitchen organisation or decorative element: the clear glass jar is very versatile. Group view of the glass jar with lid by the brand Raumgestalt. The vessels are made of crystal glass and are available in three different sizes and shapes.